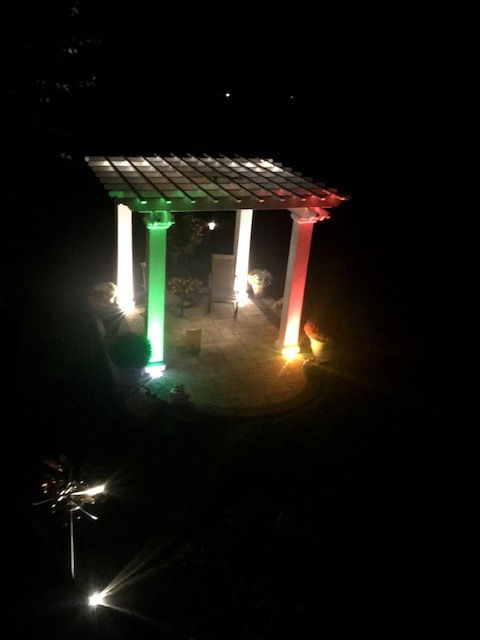 You'll spend hours under your fiberglass pergola, whether you're passing time and relaxing alone or entertaining friends. Outdoor rooms have become popular places to cook, eat, and even watch TV! 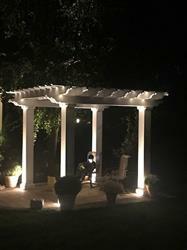 Find a perfect pergola for your yard right here. IMPORTANT: Dimensions are not interchangeable. For our fiberglass pergolas, purlins run along the length of the structure. This differs from our vinyl structures. 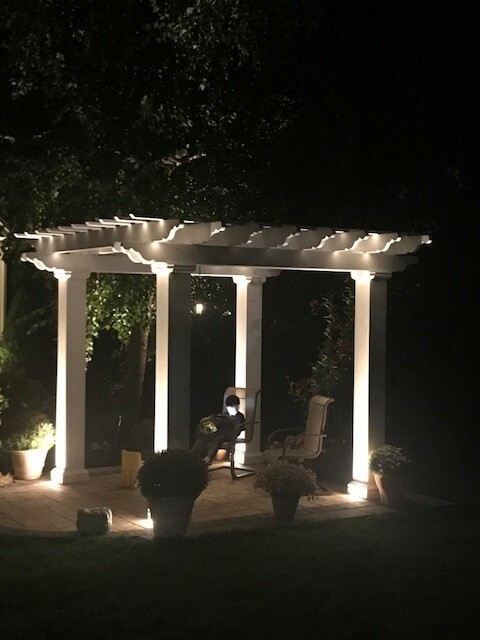 Pergolas come in standard white, or can ship in any color from Sherwin Williams or Benjamin Moore. Just enter the color code with your order! Our Napa design tail option is standard, or choose another option to make your pergola your own. These pergolas are proudly made in the USA. CAD drawings for each size are available. We also provide engineering documents if needed for permitting. Overhead sizes are 4' longer than the distance between column centers. For example, an overhead size of 16' x 16' means the column center measurements will be 12' x 12'. See CAD drawings for details. The owner of our local very big fence and patio company has been asking me tons of question about your product. I’m happy to spread the world around. It’s awesome place to get conversation n enjoy simplicity of nature. Little moment that life can be too busy to shut our souls off with simple fresh breeze of air. Even my husband likes it. My little son loves to read under it. Very blessed !